Yesterday while scrolling through friends' posts on Facebook I let out a gasp which made Michael look at me funny. Robin Williams...dead. There are very few actors that have the ability to touch so many people across so many generations...Robin Williams was one of them though. I know everyone can name their favorite movie that he was in...or their favorite part of each movie he was in. And for some...it's too hard to decide which is their favorite. While we mourn the death of this amazing actor, we need to use this as a push off point for thrusting depression into the spotlight. A while back I did a post about my life and how I've been living with depression. It was not an easy choice to decide to publish that post for everyone to see, but I knew that it needed to be done. As a society we can no longer afford to force people suffering from mental illness to hide in the closet for fear of judgment and ridicule. It took me many, many years to come to grips with the fact that I needed help. It took many years for me to realize that just seeing a therapist wasn't helping because I wasn't being completely honest with her. For some reason I always felt the need to hold back. I said to Michael last night, "It's amazing how many comedic geniuses suffer from depression or have had traumatic things happen in their lives." Do you ever wonder why? I can see it in myself, I am always trying to make people laugh, to lighten their spirits. I used to falsely believe that if the people around me were happy, I would be happy too. It was a lie...a sad lie. I wasn't happy, I made everyone smile but inside I was dying slowly. Humor is a great way to throw people off when you don't want them to know what's really going on. I found that I would slap a smile on...make people laugh and then go home to the darkness. If you suffer from depression, you know what I mean by the darkness. Darkness doesn't always mean evil...for me it means the place where there is no hope...no reason to get up...no reason to go on. Looking at Robin Williams the actor...one would never believe that he suffered from depression We all saw him as this amazing actor who had the ability to make everyone smile and feel good. But as the public...we only knew what he wanted us to know. That's what is hard about depression...there are always signs that someone is suffering from it...but the general public doesn't normally pick up on it. Depression is something that you see in someone's eyes when they don't think anyone is looking. Have you ever been with a group of friends...laughing, talking and sharing stories...then for some reason look at one of your friends and just see it in their eyes that they aren't really "there" with you all. Then as quickly as you see it...they realize someone is looking at them and the smile comes back with the laughs as if nothing happened. I mastered that art, but I was always caught by someone who would no doubt ask me if I was okay and I'd be like, "Yep...just trying to solve this issue I'm working on at work." Lies upon lies upon lies...all to cover up the fact that inside I'm hurting. Depression is dark...and depression is tough to navigate because you don't really know who you can turn to. 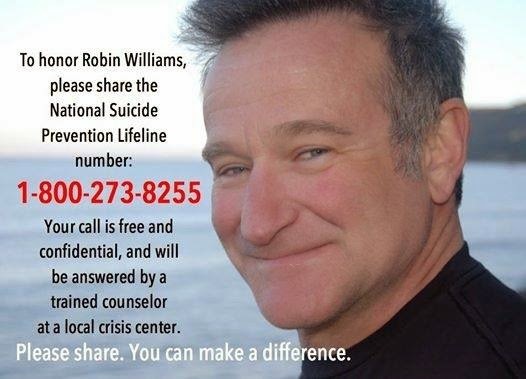 When someone like Robin Williams lets the world know he is battling depression...it's easy for people to think, "What? Why? He's got such a great life! Why is he depressed?" But what people don't understand is that even though you might have all the money you need, a nice house, a family and everything else...that's not what controls depression. Usually you get those things to cover up your depression...to help hide what's really going on. Last night I pulled out my copy of Mrs. Doubtfire...sat down with a bottle of Mad Housewife wine and watched my favorite Robin Williams movie. There are so many wonderfully funny scenes in that movie that can lift my spirits. But last night as I was watching it, my heart ached for the man who made millions feel better...but wasn't able to do that for himself. The caption of the picture read..."Genie, you're free." Robin Williams was a brilliant actor and comedian who brought so much joy and happiness into the lives of so many people. Mr. Williams...you've made us laugh here for many years...it's now time to rest. My thoughts are with his family and friends during this tough time. I urge any of you who know someone who is suffering from depression...to be an ear if they need it. And to help them get the help they need. And if you are suffering from depression...know there is help out there, but you have to take that first step in finding it. Don't be afraid anymore. Depression is a real thing...and sadly, suicide is something that many feel is their only escape from it. If you or someone you know is having suicidal thoughts, please, PLEASE call the suicide hotline...there are people there who want to help, want to listen, want to talk. 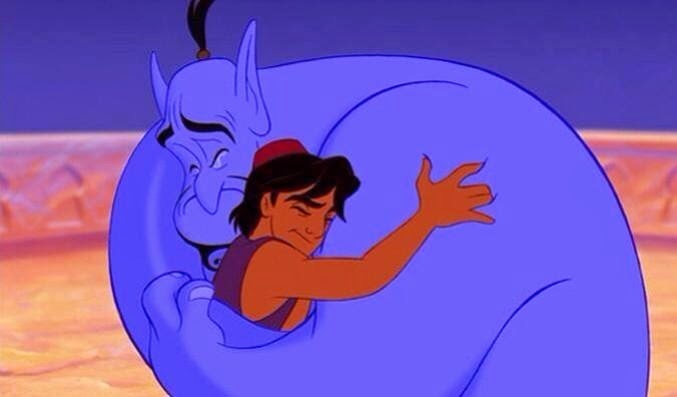 Robin Williams...may you rest in peace. Mike...depression is something that most people go through at some point in their life. But lucky for most...they don't suffer from it as severely as others. 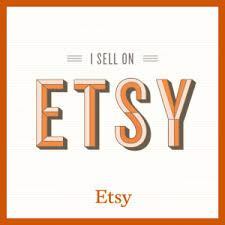 Thank you so much for taking the time to read my post. I'm so happy that I had the opportunity to meet you! pity there isn't a 'like' button for blog posts - like this. a beautiful, thoughtful post, straight from the heart. thank you Brian. Thank you for taking the time to read this Miss M. Love you and miss you dearly. Being the life of the party does have a cost. Seems wit and sadness sit close on the emotional scale. Thanks for sharing your story, u brave! Thanks Marci! :) Can't wait to spend the weekend with you at Camp Erin coming up!!! I'm sorry you've been through the darkness. I myself am just starting to find the light again so I know what you've been through. Thank you for having the guts to open up like that. And the way you give of yourself to those kids. You're doing it right:) I wish you full and lasting recovery. It's never easy revealing a part of yourself that is so dark...but I know that in doing so it helps some people. Keep up the good fight, Barb!